National Poetry Month in Delaware | Back to Basics Learning Dynamics, Inc.
Each April, across the nation, teachers and students alike celebrate National Poetry Month. 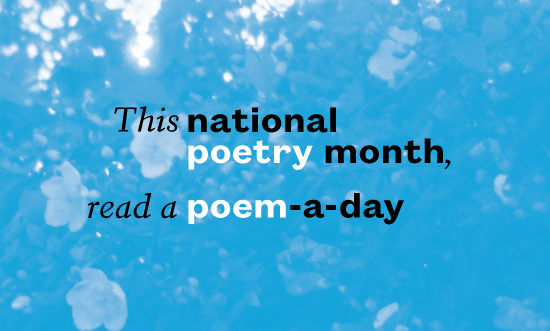 Introduced in 1996 by the Academy of American Poets National Poetry Month offers the perfect opportunity to increase awareness and appreciation of poetry by children of all ages. if you are a teacher or homeschool parent searching for poetry that kids will love, the following is a selection tried and true pieces that are sure to delight. For more, you can sign up for the free email series Teach This Poem, which features one poem a week, accompanied by interdisciplinary resources and activities designed to help quickly and easily bring poetry into the classroom. In addition, The Academy of American Poets website serves as a hub for information about local poetry events throughout the month and provides free educational resources to teachers for classroom celebrations and activities. Many publishers, booksellers, educators and literary organizations use the month to promote poetry: publishers often release and publicize their poetry titles in April, teachers and librarians focus on poetry units during the month; and bookstores and reading series frequently hold special readings. April 30: Delaware Poets Laureate, The Twin Poets, Book Signing and Open Mic Event at MeJah Books, Claymont. To learn more about National Poetry events throughout Delaware, please visit the State of Delaware website. The company also offers a unique Department of Education-approved 1-on-1 K-12 Private School in Wilmington, Delaware.For more information about Delaware’s only Department of Education approved 1-on-1 private school, please call us at 302-594-0685.